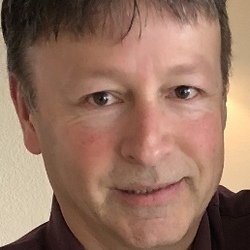 After a 30 year career as a Project Manager at a major Telecom company, Pat now enjoys the opportunity to be around classic and exotic cars all day. Pat has had a love for classic cars since he was a child. His first car was a 1966 Mustang at age 16 and he still owns one today as his everyday driver. He attends all the local car shows and appreciates the time and dedication classic car owners commit to their vehicles. 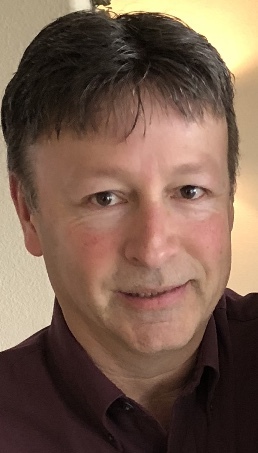 Tony has spent the previous 18 years as a Real Estate Appraiser who working primarily for a major bank. 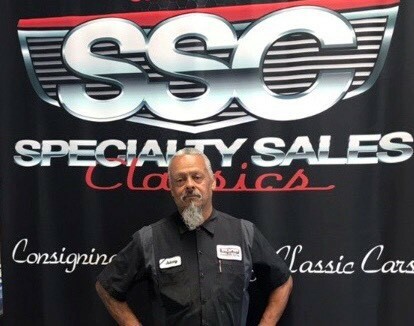 Recently, he had the privilege to join Specialty Sales Classics as a Sales and Acquisition Representative in their Pleasanton, California showroom. Tony remembers visiting this same showroom in Pleasanton as a teenager in the early 80’s. Never imagining that he could be the proverbial “kid in the candy store” all these years later and actually work there. Interacting with equally passionate car enthusiasts who visit our showroom, and Specialty clients who are looking to give the perfect classic car a new home is a great pleasure for him. 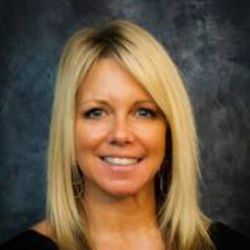 Lisa has always had a desire for classic cars and loves to tell us stories of her classic challenger she used to own. She loves Mopar’s but appreciates all classics and loves hearing stories from customers of their current or past classics they have owned. Jeremy Bolen is currently pursuing his MBA in business marketing and development. 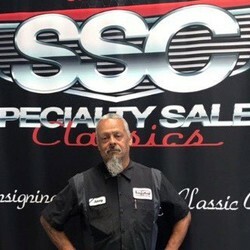 He has been involved in classic/collector/exotic car acquisition and sales since 2011. 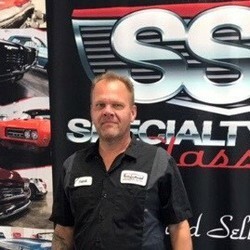 He is passionate about his work here at Specialty Sales Classics and is highly valued for all the services and expertise he brings to this job. Multi faceted and talented, he`s been a true asset, from doing outstanding detail work, to professional photography. 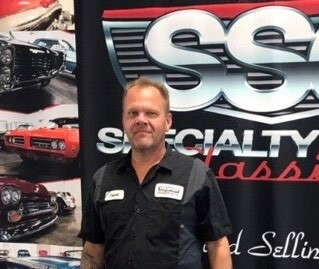 Rory Marin began working for Specialty Sales Classics in 2004 as the Benicia Service writer and in late 2005 moved into the Sales Manager position at our Benicia location. Rory is a true "Car Guy" having owned many classics as well as various Corvettes. 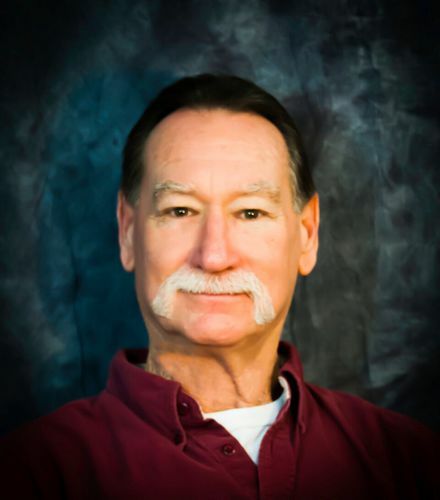 Mr. Ramsey has over 20 years experience in the sales industry and has owned many classic cars in his past. His daily driver is a 1973 Dodge Challenger and he maintains and fosters a great love for all classic cars. 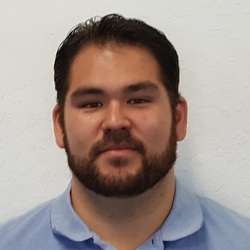 Sean comes to us from the United States Marine Corps, as a medically retired Corporal. 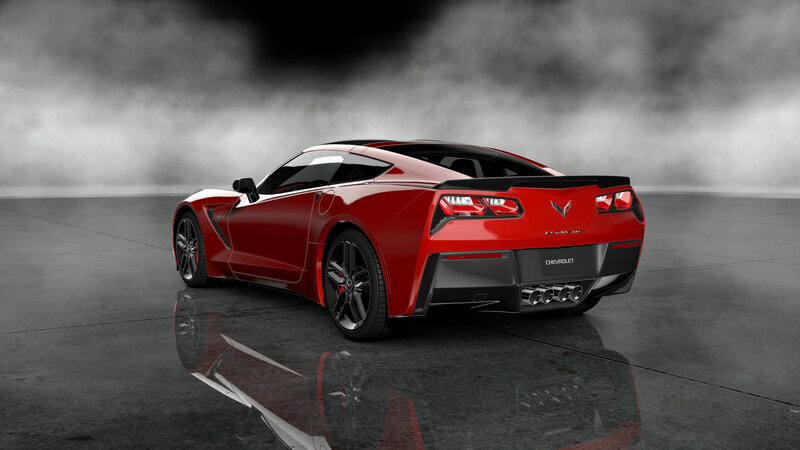 His passion for cars and trucks shows in his enthusiastic approach to customer care. 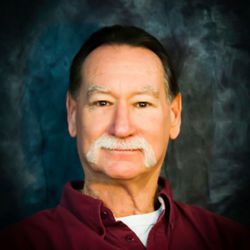 He has been a petrol-head for most of his life and resides in Vacaville, CA with his wife and three future petrol-heads. 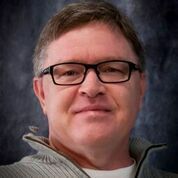 He strives for excellence in helping consigners and buyers and will do what it takes to do right the first time. Semper Fi! My love for cars started at a young age. I spent a lot of time with my father and my grandpa working on things as a kid. When I was 9 years old I worked alongside my dad while working on my moms first car, a 1965 Pontiac Catalina that she bought when she was 16. In high school I bought a 1966 mustang that I started restoring, then my girlfriend at the time got a 1966 mustang that I rebuilt the engine and transmission in. My senior year I bought a 1969 Pontiac GTO that was my next project. That was the beginning of my lifelong love for classic cars and hot rods. I’ve worked alongside some of the best welders and mechanics around, lots of them who started building hot rods in the 1950’s. 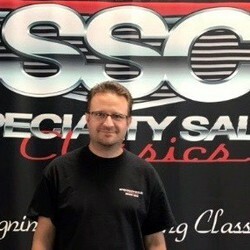 I started working for Specialty Sales Classics in July of 2012. I love what I do, and I plan to do it for as long as I can. Daniel started his Automotive career right out of High School. 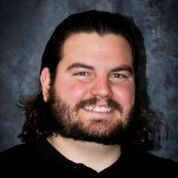 Back in 2001 he started as a lube Tech for a Ford dealership and worked his way up to Journeyman Technician. When the dealership closed he left the automotive industry to help his parents with their dream of opening a restaurant. 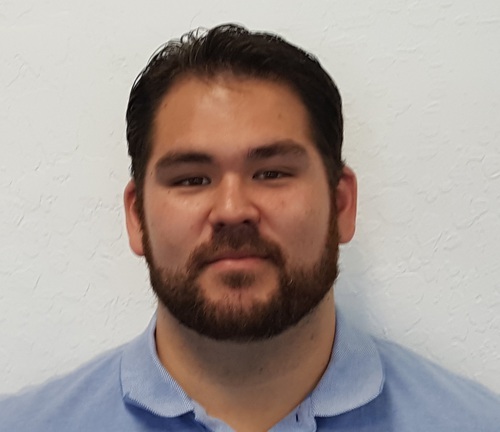 Now that the restaurant is up and running very well, he wanted to come back to the automotive industry and be around what he is passionate about and that is anything that has wheels and a motor. His joy at Specialty Sales Classics is bringing in beautiful cars and finding the right buyer for these beautiful master pieces. 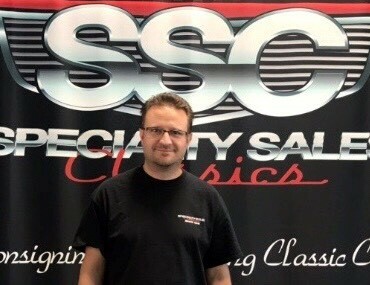 Johnny Rosa has been with Specialty Sales Classics since 2009. 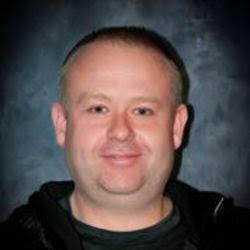 He is a Pro Detailer & Automotive Technician, in his spare time he likes to race R/C Cars and fly R/C Planes. He also like to enjoy his 1957 Chevrolet Bel-Air.